If you find yourself defending against United States or New York State fraud charges, you need the best possible defense. Many criminal defense attorneys are not experienced in White Collar defense cases and not equipped to defend you properly. New York City Criminal Defense Lawyer Mark I. Cohen started his career in 1985 as a fraud and economic prosecutor and has subsequently spent more than 30 years of his respected career defending fraud and similar charges in the New York State and United States Courts. Mr. Cohen’s decades of accumulated knowledge, experience, and his innate capability makes him your best choice for a fraud defense. Fraud crimes under the New York State Penal law and the United States Code carry significant penalties. In addition to lengthy prison sentences, fraud crimes are frequently punished with financial sanctions including substantial fines, restitution, and asset forfeiture. Other collateral consequences and ramifications are possible, including disqualification from future employment or professional licensing because fraud crimes are linked to the moral character of the accused person. Thus, for example, any employment that requires the handling of money or access to sensitive information is negatively affected by a fraud prosecution. To avoid the severe punishment that often flows from a fraud conviction, you need case representation by Mark I. Cohen, a widely recognized and highly respected NYC fraud criminal defense attorney. Fraud is generally defined as any material/important misrepresentation or deception of another person or entity (eg., business or charity) for the purpose of deriving a financial gain or competitive advantage. In completed fraud prosecutions under New York State and federal law, prosecutors must demonstrate that a defendant intentionally or knowingly deceived the victim and that the victim sustained actual harm. No two instances of fraud are the same. That is why your case requires an expert fraud defense attorney, like Mark I. Cohen, to help you recognize, assess and defend a case brought against you. Fraud charges in the United States and New York State courts can be very complex in nature and multiple charges can be brought for the same conduct. 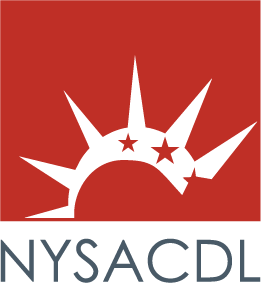 Various New York State Penal Law statutes criminalize fraudulent activity. Mark I. Cohen has prosecuted and defended New York State forgery crimes, record falsification crimes, insurance and health care fraud crimes, credit card and mortgage fraud crimes. Mark I. Cohen has amassed years of experience successfully prosecuting and defending identification and identity fraud cases, check and public assistance fraud crimes in the New York State Courts. Likewise, the United States Code criminalizes a wide variety of fraudulent activity. Mark I. Cohen has experience, dating back to 1990, successfully defending an impressive variety of alleged criminal activity. These include Mark I. Cohen’s handling of mail and wire fraud cases, bank fraud and securities fraud cases, health care fraud cases, immigration fraud cases, computer fraud cases, access device (credit card) crimes and false statement to federal official crimes. If you are charged with or under criminal investigation for fraud, you need a well-trained, knowledgeable and experienced fraud criminal defense lawyer. For more than 32 years, Mark I. Cohen has worked to defend both criminal and civil fraud cases and has earned the praise of United States and New York State judges alike for the quality of his work in White Collar Crime cases. What can you expect if you retain fraud defense attorney Mark I. Cohen on fraud charges? Experienced fraud defense attorneys such as Mark I. Cohen will diligently study the evidence presented and, in consultation with you, determine if reasonable doubt leading to an acquittal can be presented at a trial before a jury. 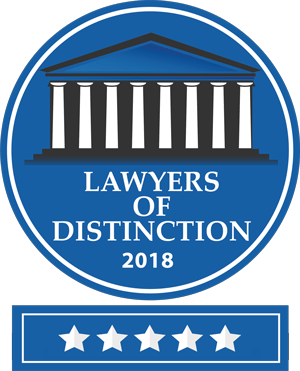 If you and Mark I. Cohen determine that defending your case at trial is too much of a risk, Mr. Cohen is recognized as one of the finest negotiators in the criminal defense field. For example, Mark I. Cohen successfully convinced United States prosecutors in the Southern District of New York to drop charges against a fine arts dealer who had admitted to rigging eBay auctions to inflate purchase prices of goods prior to his retention of Mr. Cohen as his attorney. Mr. Cohen has also succeeded in arranging for impressive plea bargains. He has decades of experience negotiating non-incarceratory dispositions and favorable financial sanctions. Mark I. Cohen has successfully convinced the authorities to either impose no or a limited fine, restitution orders and forfeiture of assets orders in numerous United States and New York State cases. If you are now being investigated for or have been arrested and charged with fraud in New York, you should call skilled NYC fraud defense attorney Mark I. Cohen to receive expert legal representation.